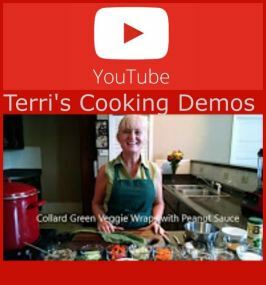 This dish is all about the sauce that is bursting with flavor and tastes fabulous on almost anything–pasta, potatoes, grilled vegetables, or even spread on bread. 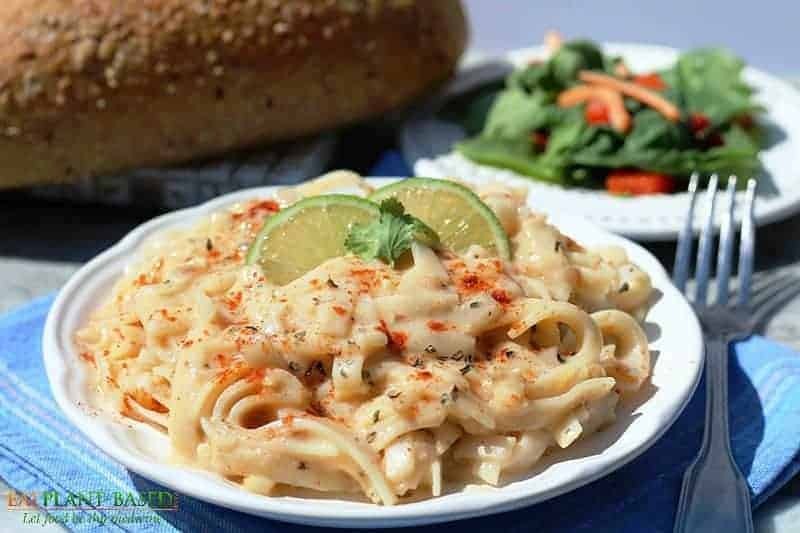 Amazingly, this vegan Roasted Garlic Butter Pasta is gluten-free and similar to an alfredo. The creamy garlic sauce in this recipe is the secret ingredient. The secret to the creamy sauce is caramelized roasted garlic cloves. Roasting garlic cloves requires long, slow cooking that mellows the garlic’s strong taste and leaves a rich, deep flavor in its place. 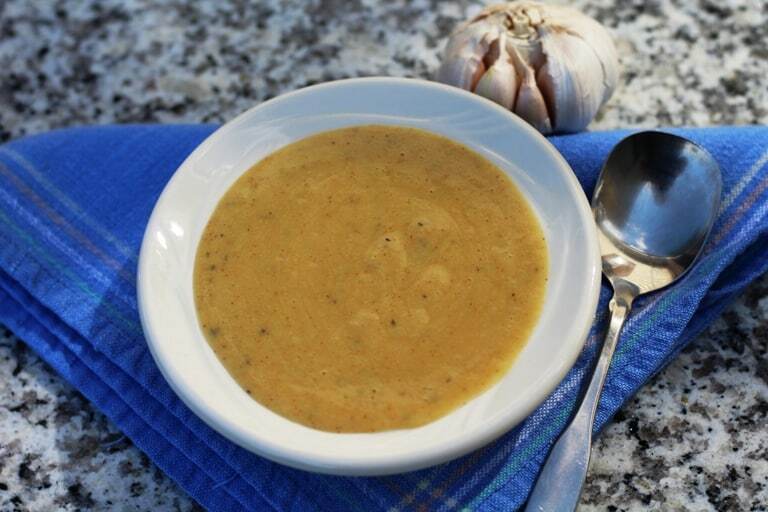 Roasted garlic is great in soups, dips, and many other dishes. It sounds mysterious until you make it for yourself and see how simple it really is. Garlic has magnesium, vitamin C, selenium, fiber, and a host of other nutrients. Why roast garlic? Roasted garlic adds tremendous flavor and depth to recipes. Roasting the garlic mellows it out and makes for a sweet and delicious flavor. Start by peeling off the loose skin of each garlic head. Next, cut off the head of the garlic. You want to make sure that all of the cloves are exposed. If your knife misses a couple cloves, just use a paring knife to cut the tips off. Picture below. Place heads in a baking dish, add about 4 tablespoons of water to keep moist, and place lid on top. Another option is to simply wrap the garlic heads in parchment paper then an outer layer of foil instead of using a baking dish. This method keeps them quite moist. Bake in the oven for approximately 40-45 minutes, until cloves begin to pull away from the garlic skin. These are garlic heads in a baking dish ready to be roasted. 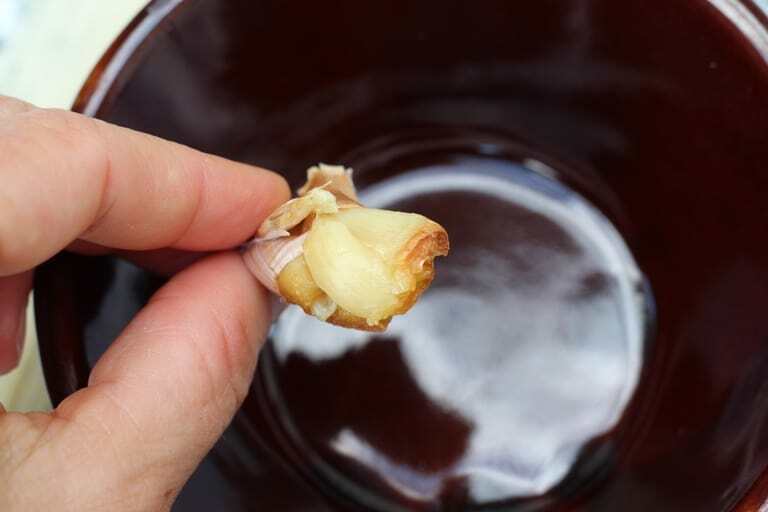 Once the garlic is finished cooking and cooled, you can easily squeeze out the cloves by pressing upwards from the root. Notice that the cooked clove has separated from the outer skin. Basically, this is just squeezing the individual cloves out of the head. They will be soft and mushy and ready to add to other recipes. They pop out very easily, because they are soft and tender. Ready to be used in other dishes. Freshly roasted garlic cloves are soft and tender and can be used as a garlic butter spread for bread right out of the clove. One clove of garlic, weighing about 3 g, contains about 3 percent of the daily recommendation for manganese. 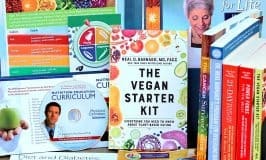 Manganese is incorporated into enzymes and also acts as the primary antioxidant in the mitochondria of cells. Garlic also contains vitamin C, another antioxidant nutrient that also helps build the structural tissue of blood vessels, ligaments, tendons and bone. 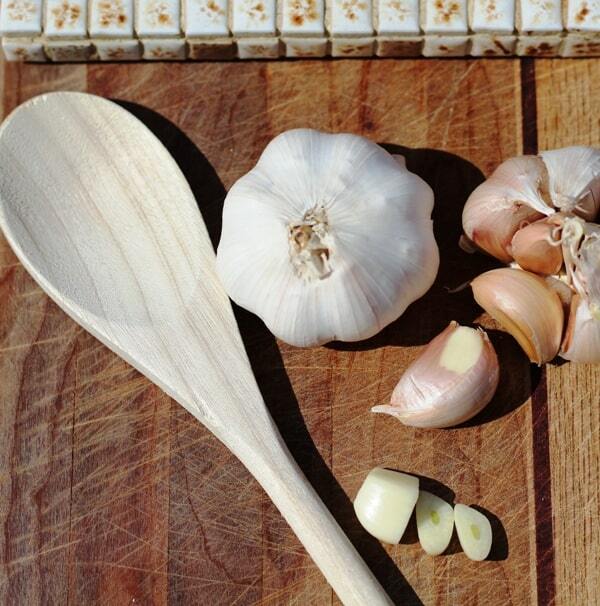 The active compounds in garlic can help reduce blood pressure. 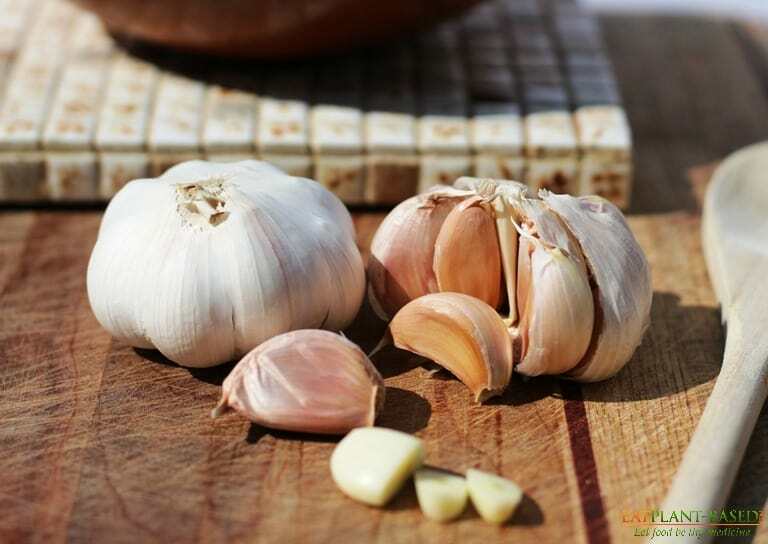 Ancient Greek physician Hippocrates (460-375 BC)–known as The Father of Medicine–actually used to prescribe garlic to treat a variety of medical conditions. 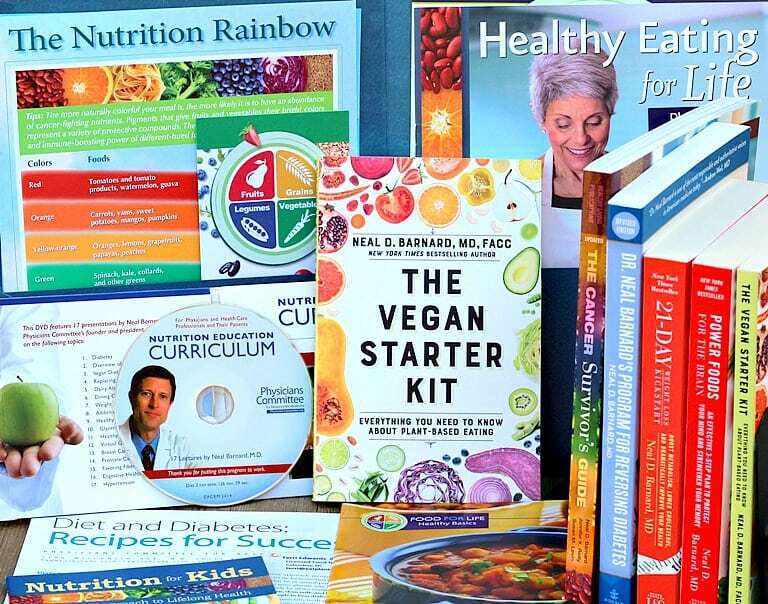 Modern science has recently confirmed many of these beneficial health effects. 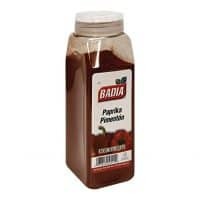 This sauce is delicious on pasta, grilled vegetables, and even used as a dip. Simply add all ingredients in a sauce pan, whisk together, and allow to come to a boil until thickened to desired consistency. 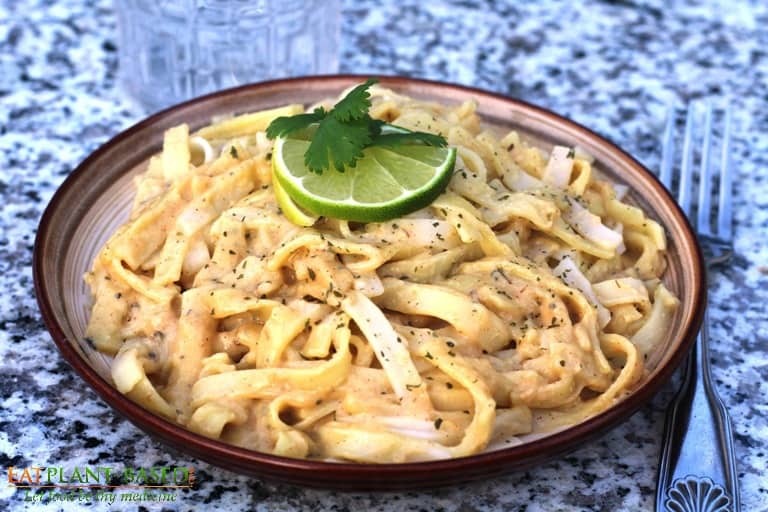 For this recipe I used Pad Thai rice noodles, but any pasta can be substituted. For those with gluten sensitivities, stick to rice noodles or other gluten-free products. Spritz with the juice of fresh lime wedges and add cilantro to really knock this vegan, gluten-free dish out of the park. Serve with lime wedges and fresh cilantro. This dish is all about the sauce that is bursting with flavor and tastes fabulous on almost anything--pasta, potatoes, grilled vegetables, or even spread on bread. Amazingly, this vegan Roasted Garlic Butter Pasta is gluten-free! Preheat oven to 400 degrees, and begin to prep garlic heads. Next, cut off the head of the garlic. You want to make sure that all of the cloves are exposed. If your knife misses a couple cloves, just use a paring knife to cut the tips off. 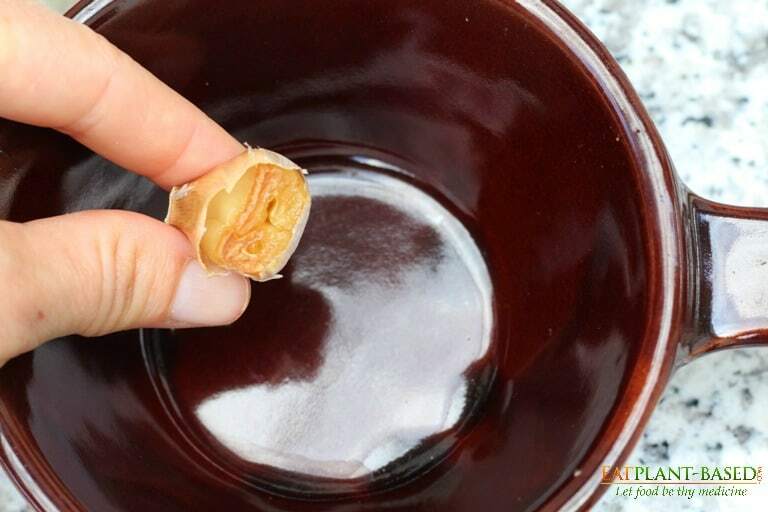 Place heads in a baking dish, add about 4 tablespoons of water to keep it moist, place lid on top. Another option is to simply wrap the garlic heads in parchment paper then an outer layer of foil instead of using a baking dish. This method keeps them quite moist. Bake in the oven for approximately 40-45 minutes, until cloves begin to pull away from the garlic skin. While these are cooking, cook pasta according to package directions. Remove from oven and allow to cool. This is what we call 'garlic butter' because it is so creamy and can be spread on bread. 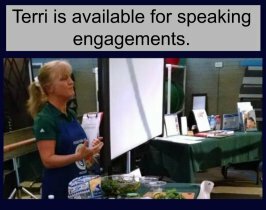 While the garlic heads are cooking, go ahead and put the water on to begin cooking the pasta according to package directions. 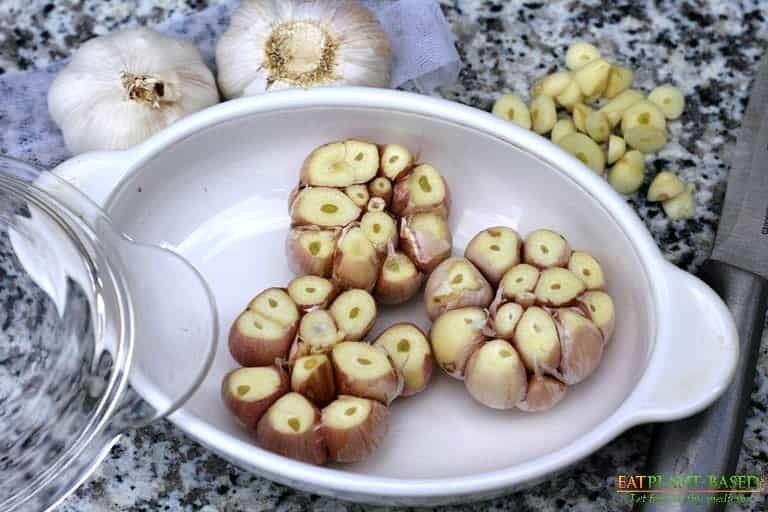 Once the garlic is finished cooking and cooled, you can easily squeeze out the cloves by pressing upwards from the root. Place them in a medium-sized sauce pan. Place all other sauce ingredients (except lime wedges and cilantro) in sauce pan and turn to medium heat. 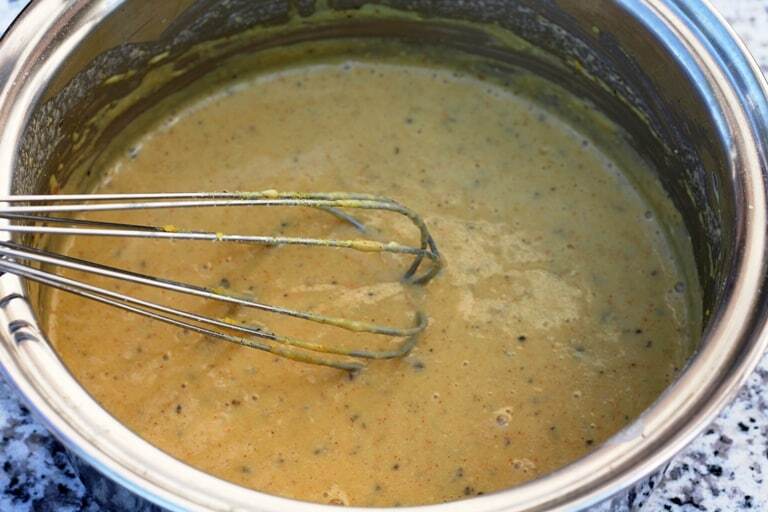 Whisk together, and continue to stir frequently as it begins to thicken. When desired consistency is reached, remove from heat. When pasta has finished cooking, drain and rinse under cool water. Add cooked pasta to the creamy garlic sauce and mix well. Squeeze lime wedge over top and add fresh chopped cilantro. Serve warm. SOOOO GOOOOODDD!!!! Just made this and next time around I will be doubling the recipe …I’m sad it’s all gone already!!!! WOWWWW!!! 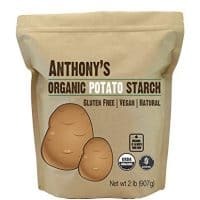 If I don’t have the yeast or potato starch, can I substitute anything? Any thickener can be substituted for the potato starch. Some good ones might be cornstarch, arrowroot powder, etc.Nutritional yeast gives it the nutty cheese flavor. You might blending all the garlic sauce ingredients in blender with some cashews to get a bit of the flavor.